Just curious, because I play the game. Active players or purchases? 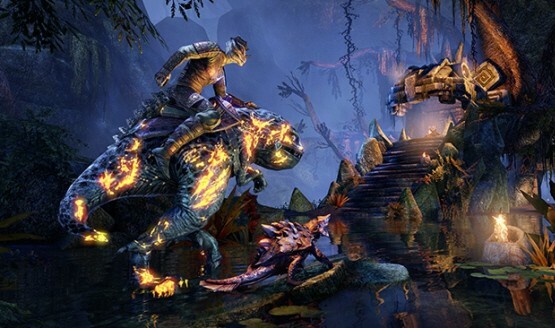 At an Elder Scrolls Online press event, Matt Firor confirmed to our own Bill Murphy that the game is sporting 8.5 million players. At E3 2016, ESO had 7 million players and has grown by 1.5 million since then. This number is based off of units sold and is not simply a tally of registered accounts. According to Firor, the population is split fairly evenly among all platforms. Currently, Elder Scrolls Online is available on PC, PlayStation 4 and XBox One. I'm never really impressed by total accounts as a metric - subscriber numbers and log-in based activity can be a lot more telling - but that's some serious growth in accounts being created since E3 only a few months ago. Between that and a massively hyped expansion coming in the next few months, I think The Elder Scrolls Online is going to be doing just fine for awhile. That's an exceptional number for an MMO. Especially considering they probably get a lot more money of their crown store, DLCs and even the optional subscription. They have probably already funded themselves either for ESO2 or any other multiplayer game they'll want to develop in the future. That is when they'll want to move on from ESO, however based on the recent reports, this game is not going anywhere for a long time, it's a huge cash cow for ZOS at this point. Well deserved too. With Morrowind expansion on the horizon, I'm really looking forward to the future of ESO. It really is by far the best MMO on the market right now, and has been for the last 2 years.